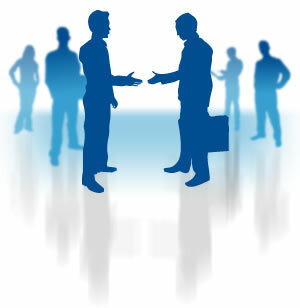 At Black & White Business Solutions we can assist both small and large businesses with their Human Resource needs. There are a lot of categories that combine together to create a full fledge HR department, and this can be very overwhelming. Our goal is to help you strategically navigate through this to develop an HR plan that is customized to YOUR business. We offer a free consultation to discuss your business and suggest areas where we can assist you in a cost effective way. When you partner with Black & White you get the benefit of an in-house Human Resources professional without the financial commitment required to hire a full time employee. Having a properly functioning HR department is essential to any business for many reasons such as legal compliance, employee morale, and recruiting and retention. The Black & White Business Solutions CEO, Melissa Verischetti, is SHRM-SCP certified which means that your company is in very capable hands for your Human Resources needs. This HR certification requires a strict record of educational and professional eligibility requirements, so you can be sure that your HR demands will be met with competence and expertise. Take the first step to finding a qualified candidate by advertising on FindAJobPA.com or Contact Us today to discuss your specific HR needs!